It was that kind of special that transcended back to the Williamsburg section of Brooklyn, where Ms. Spagnola was living while finishing her law degree at Brooklyn Law School. Her mother visited the day after she returned home. 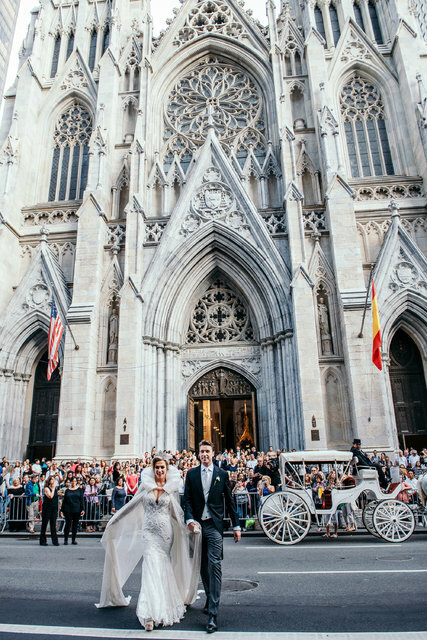 A crowd of curious onlookers gathered outside of the St. Patrick’s Cathedral as the married couple made their exit. And thus, problem No. 1: location. Ms. Spagnola grew up in Todt Hill, Staten Island. Her parents also own an apartment in Murray Hill in Manhattan. Her mother is a retired accountant, and her father, Fred Spagnola, 58, is a financial adviser for UBS. She and her brother, who went to school in Manhattan, had strong ties to New York. Moving to Amsterdam for love seemed impulsive. Mr. Wolff grew up in Abcoude, a small town in the Netherlands, until he was 4. Then he moved to Madrid with his older brother and parents. “My mother was a homemaker and my father was the C.E.O. of a record label,” he said. They returned to his hometown six years later, and by then there were four Wolff children. Still love has a way of steering the ship, so to speak, and after that first kiss, the couple’s course was set. When the night was over, they departed to their separate yachts, hoping they would continue finding each other along the same route and schedule. 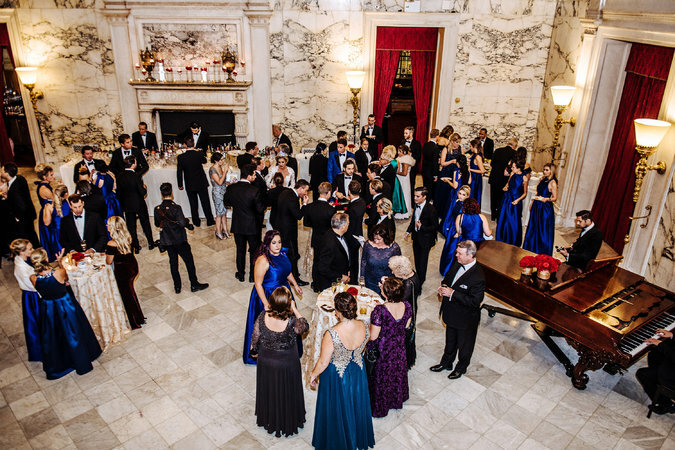 The scene inside the Metropolitan Club during cocktail hour. The couple had 15 bridesmaids and groomsmen. Except for the final night, which was filled with mishaps. Each thought the other was going to a specific event and, without cellphone reception, there was no way to connect. “I was so upset I couldn’t find him,” Ms. Spagnola said. Mr. Wolff was at another party looking for her. 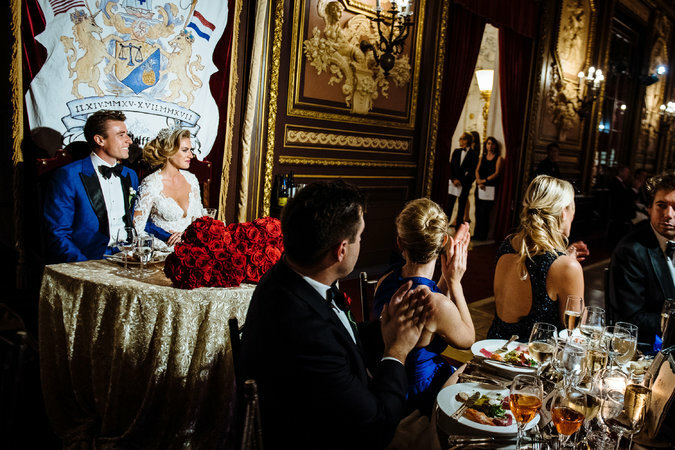 Trumpeters welcome guests to the Metropolitan Club. Upon arriving home, though, she saw that Mr. Wolff had sent her a message on Facebook. She replied, and phone numbers were exchanged. The next several days turned into a texting frenzy. Then came the phone calls and Skyping. Two months later, Mr. Wolff was visiting her in New York. Mr. Wolff stayed with Ms. Spagnola for 10 days, during which time they each said “I love you.” The two also went to see a lawyer who informed them about visas, immigration laws and working internationally. Their desire to be with each other superseded the obvious roadblocks. In November 2013, she visited him in the Netherlands, and again for the New Year’s holiday. In March 2014, Mr. Wolff stayed with her for three months. That October, Ms. Spagnola passed the bar and Mr. Wolff visited to celebrate. But the couple understood they would not often actually be in the same room, let alone live together full time. In December 2013, Mr. Wolff obtained a sales job with a denim company that would sponsor him to work in the United States. 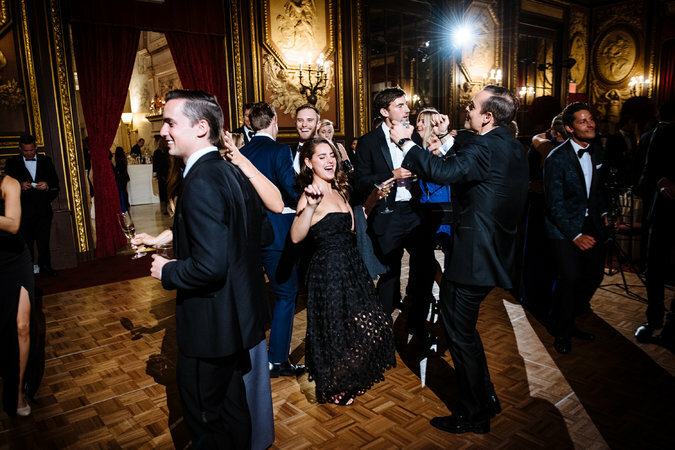 Guests on the dance floor during the reception at the Metropolitan Club in Manhattan. The couple found an apartment in Williamsburg. On a cold, foggy day in February 2015, while walking on the Brooklyn Promenade, Mr. Wolff dropped to one knee and proposed with a diamond ring he had designed. “Even though we spent so much time being separated, I wanted her to know this was forever,” he said. Things seemed to be going well until that September, when Mr. Wolff, who planned to study for an M.B.A., received a scholarship to Hotelschool The Hague, one of the best hospitality schools in the world, in Amsterdam. 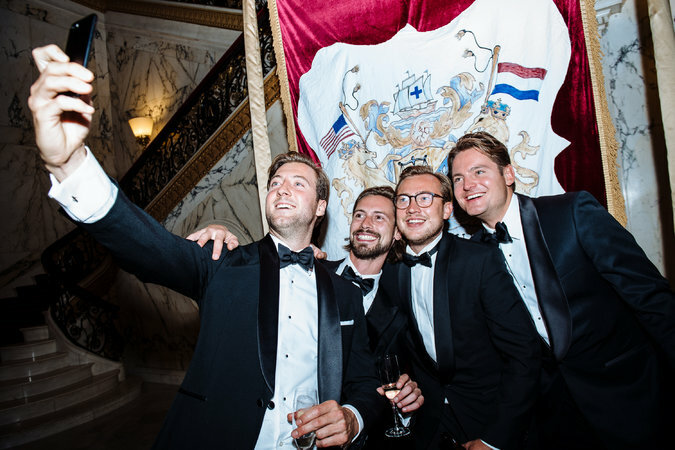 Guests pose for selfies in front of the couple’s newly created family crest. The crest included a tribute to how the couple met: on a boating excursion. For the next four months the couple fell back into a long-distance relationship, each visiting the other monthly. In January 2016, Ms. Spagnola, unable to live without him, found work by persuading a law firm that it needed an international person in its Amsterdam location. Another visa, this time for her, was obtained. “Everyone told me not to go, but I would have regretted not meeting the people who made him the person that I love,” she said. After a year, Ms. Spagnola was unfulfilled with her job. Knowing that Mr. Wolff would return to New York after graduating from school in September, she came home in May 2017. Mr. Wolff was able to secure a job in New York as an account executive at Harver, a Dutch technology company. “Everyone says how great we’ve managed doing a long-distance relationship, but it’s been extremely hard and painful,” Ms. Spagnola said. 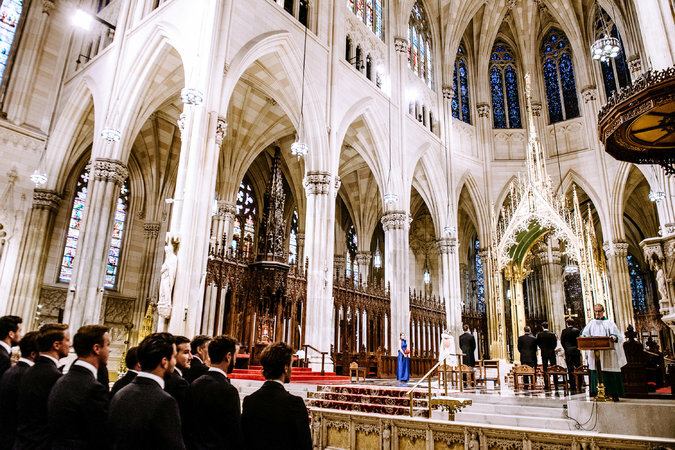 The couple were married Oct. 7 before 190 guests at St. Patrick’s Cathedral in Manhattan. The Rev. Andrew King, a Roman Catholic priest, performed the ceremony. 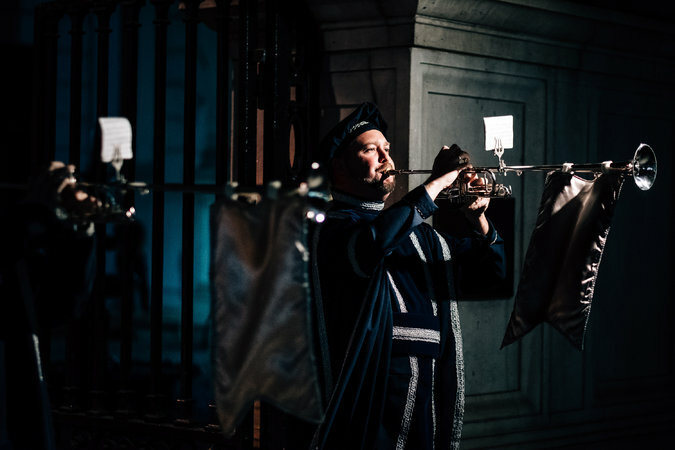 Later in the evening, guest were greeted by two trumpeters in medieval attire at the Metropolitan Club on 60th Street. The couple’s 15 bridesmaids and groomsmen descended the grand stairwell of the club, and then waited as the newly Mr. and Mrs. Wolff entered the reception. Indeed, in the last four years, between the two of them, they have taken the eight-hour flight between New York and Amsterdam more than 35 times.